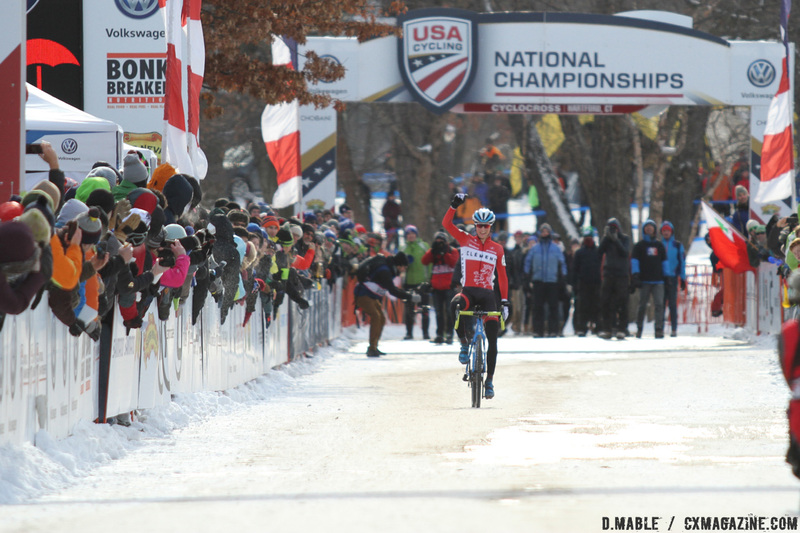 This year, Lance Haidet came in hot from winning the Super G gravel race in March and carried his momentum to the line in Monterey. Haidet comes off a season spent defending his U23 Stars-and-Stripes jersey after his epic win at the 2017 U23 Nationals in Hartford and subsequent 25th-place finish at the 2017 World Championships. His 2018 began with less fanfare, but after Sea Otter, he can still go into the season proper with a win already under his belt. 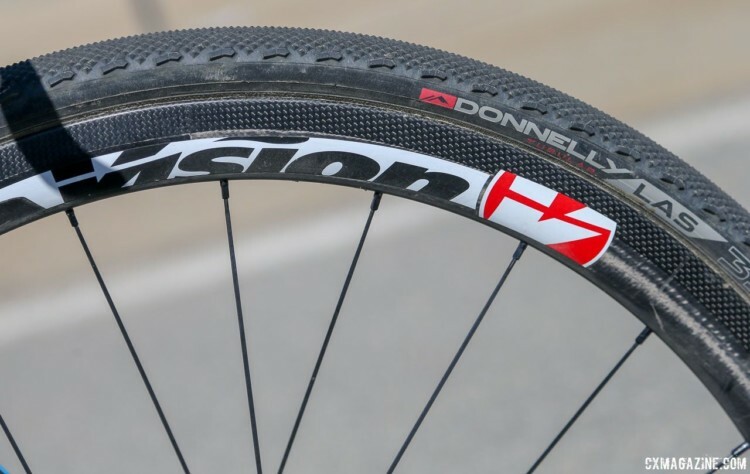 As a Donnelly-sponsored rider, Haidet’s bike for gravel and cyclocross is the same Pivot Vault he used last season, albeit with more terrain-appropriate wheels and tires when gravel is calling. What has changed since the end of ’cross season, however, is Haidet’s groupset. At both the Super G gravel race and the Sea Otter Classic, Haidet’s bike sported FSA’s new K-Force WE (Wireless Electronic) groupset. 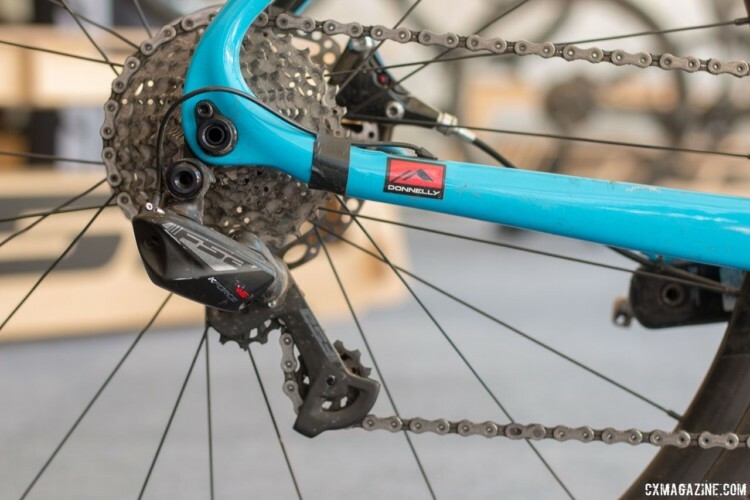 The K-Force WE has been in pre-production for a number of years, and FSA recently released its first groupset to the public in the form of the electronic semi-wireless system to compete with Shimano Di2 and SRAM Red eTap. Unlike the Shimano and SRAM systems, the group runs a hybrid system of wireless and hardwired components. 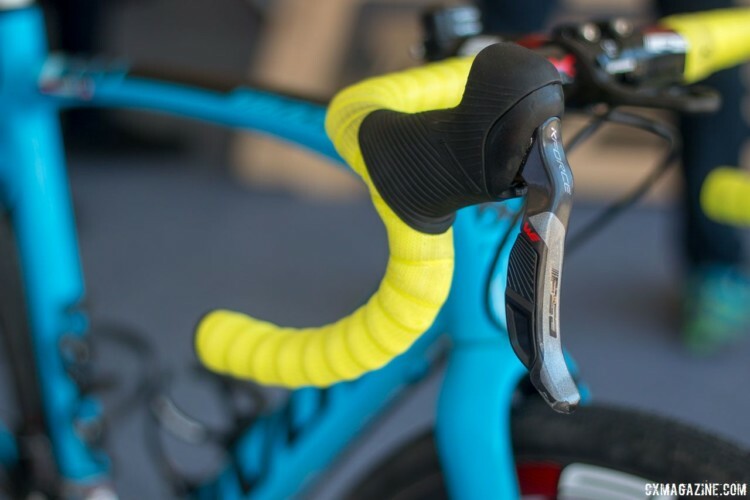 The shifters communicate wirelessly with the derailleurs, but both the front and rear mechanisms are hardwired to each other and the primary power source, which should provide a longer battery life than eTap and an easier initial setup than Di2. 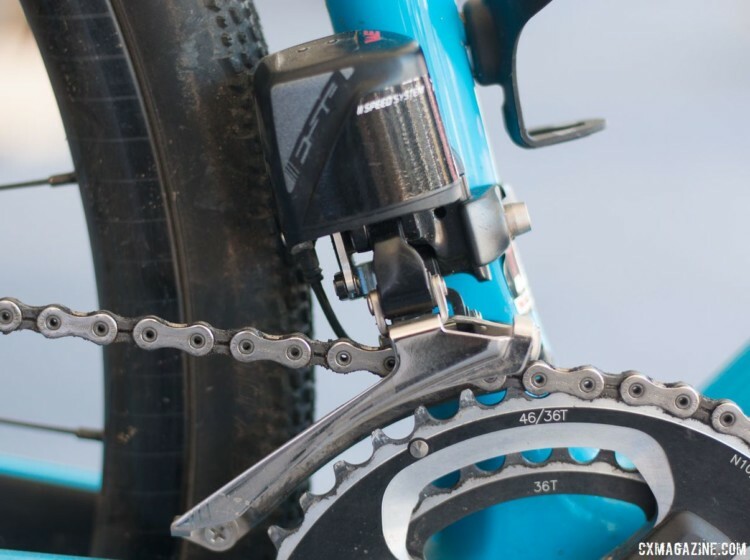 The system is 2x compatible—which is what Haidet ran at Sea Otter—and the rear cage can wrap a 32t cassette. Haidet had a full contingent of FSA components on his bike at Sea Otter. His shifters were K-Force WE, which paired via a closed ANT+ channel to the WE derailleurs. An FSA K-Force hollow pin chain wrapped his FSA cassette and SL-K Light 46/36t crankset (K-Force does not include a 46/36t option). FSA subsidiary Vision provided Haidet’s rolling stock for Sea Otter. He ran Vision Metron 40 SL carbon tubular wheels and Donnelly LAS tires in 33mm width. At Super G he opted for an SL-K tubeless setup and Donnelly MSO tires. Haidet stopped his bike with K-Force WE hydraulic flat mount calipers, which are not yet available to the public but coming soon. FSA mounting plates adapted the calipers for the Vault frame, and Haidet’s rotors were a 160mm, 6-bolt model. Unsurprisingly, the majority of the bike’s components were also FSA branded. Haidet used an SL-K seatpost, stem and handlebar as well as an FSA headset. He did opt for Lizard Skins bar tape and a Specialized Power saddle with carbon rails, however, and Shimano XTR PD-M9000 SPD pedals. 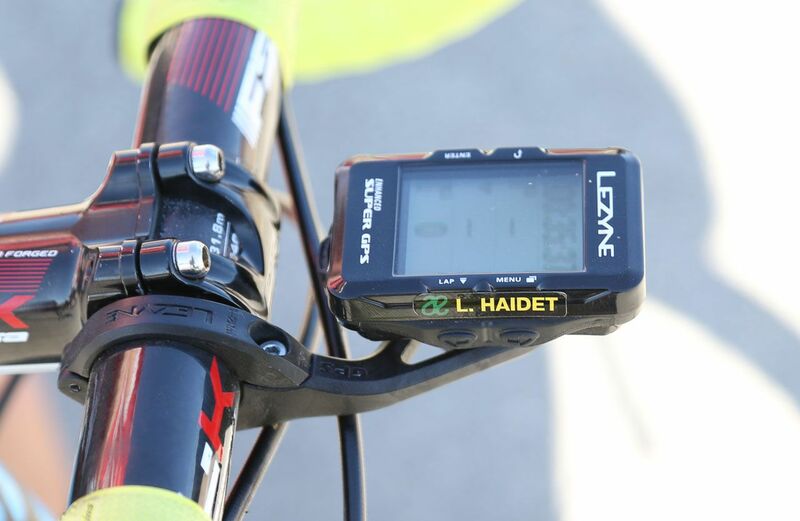 To measure his ’cross watts and get directions during gravel grinds, Haidet uses a Lezyne Super GPS bike computer mounted out front. 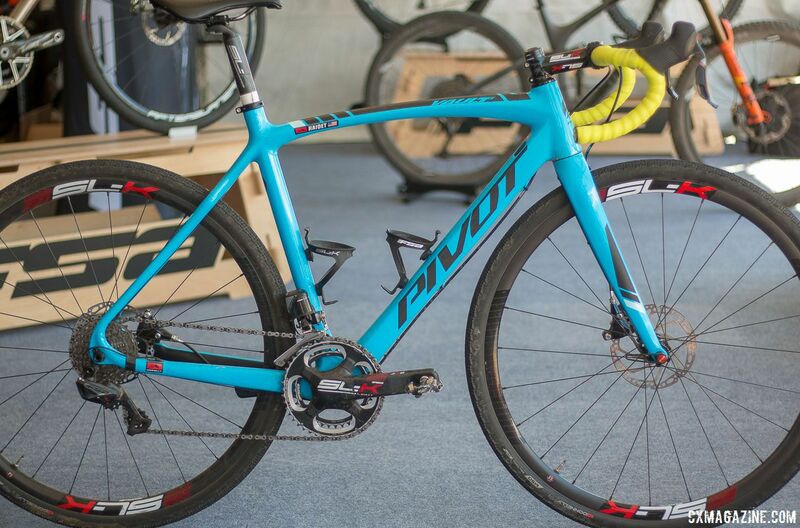 See the specs and photo gallery below for a closer look at Haidet’s Pivot Vault and FSA K-Force WE wireless electronic shifting.